Dogs love making friends - with pretty much anyone. These dogs have already made friends with the cat, the kids, the neighbors, everyone who has ever passed by their house ... and now, they've found a goat. 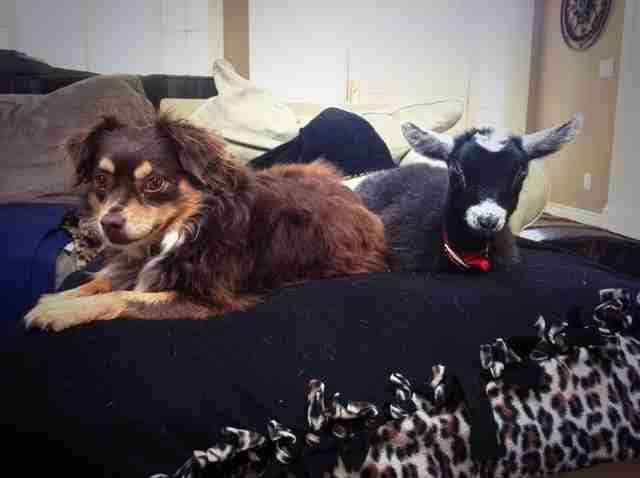 These dogs don't care what anyone says: They are keeping this goat, and here's why. 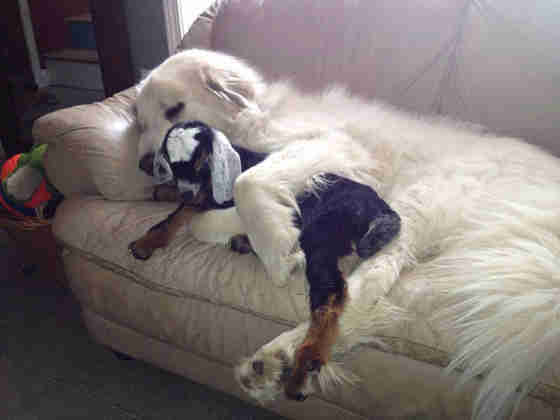 This dog would like to keep his goat because she's the best cuddle buddy he's ever had. 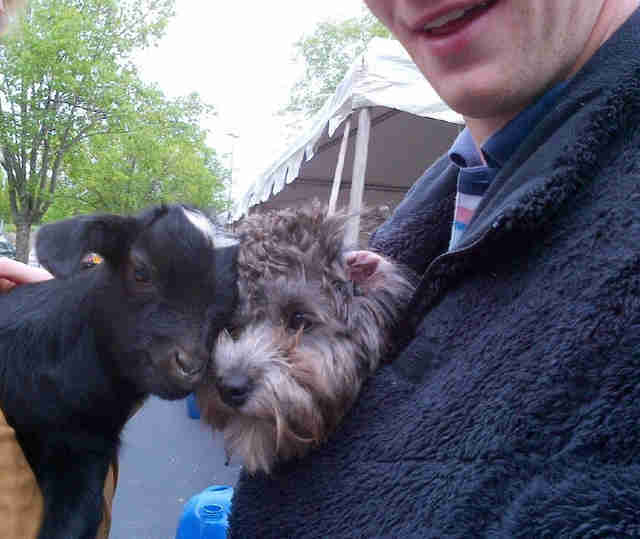 This puppy would really like to keep the goat because he just tastes SO good. 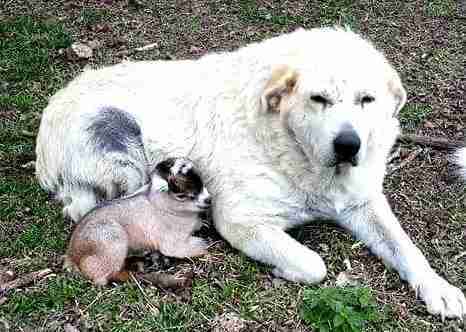 This dog is absolutely keeping his goat because YOU introduced them - you can't take it back now! 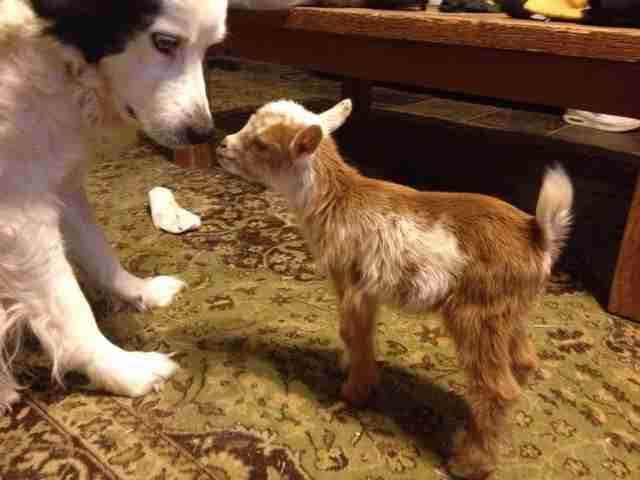 This dog is never letting his goat go because tiny things are just too cute. 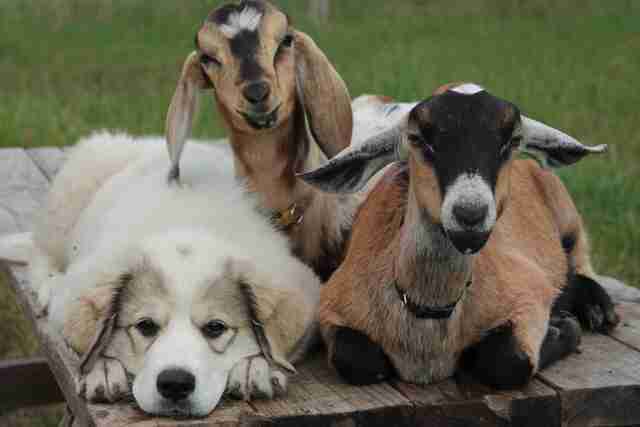 This puppy refuses to give up her goats because now she has groupies, and how cool is that?! 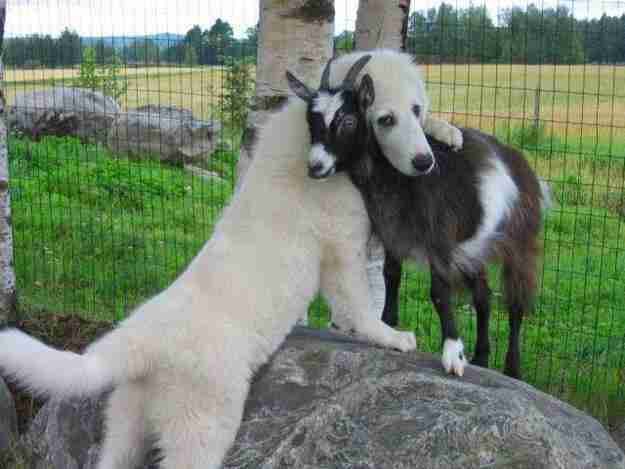 This dog wants you to let the goat stay because no one else has mastered the head bump as well as he has, and that's important. 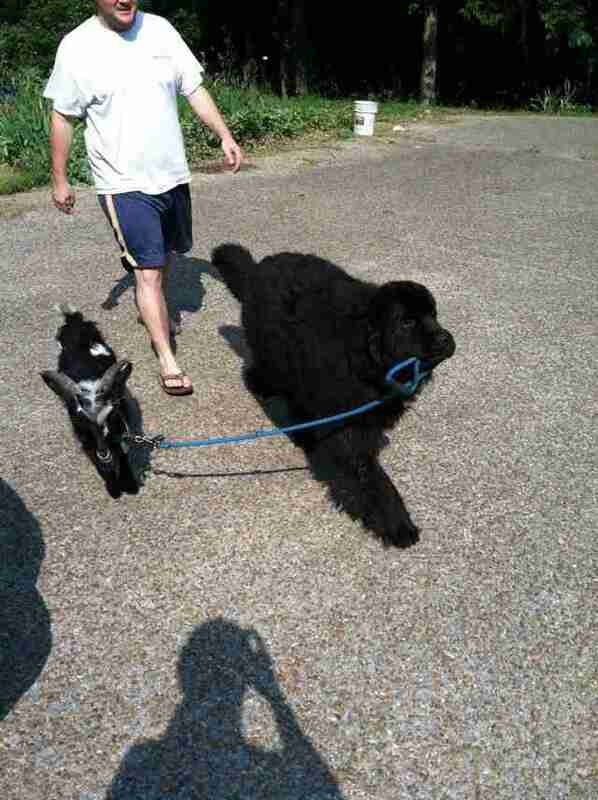 This dog isn't sure if you're going to let her keep the goat or not ... so they're running away together. Bye. This pup thinks you should let him keep the goat because this bed is just so big - there's always room for one more! 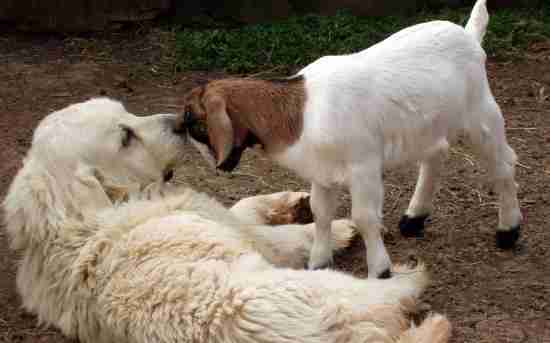 This dog can't let his goat go, because who else is going to protect the little guy, hmm? 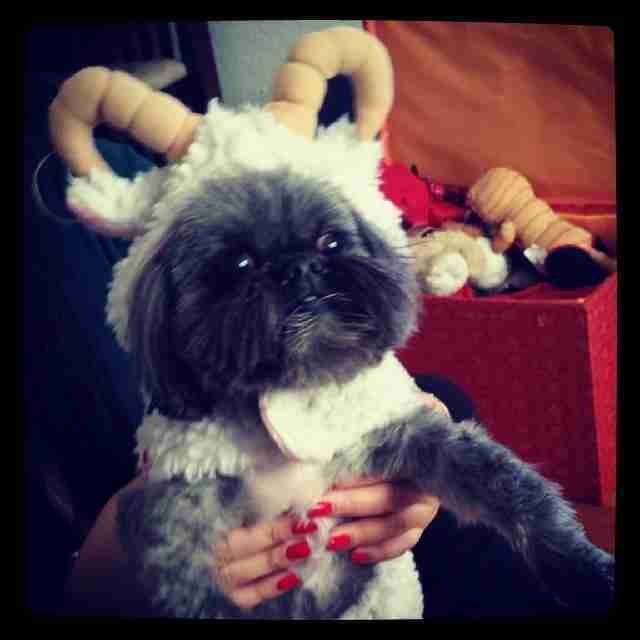 And this guy can't find a goat ... so he became one.